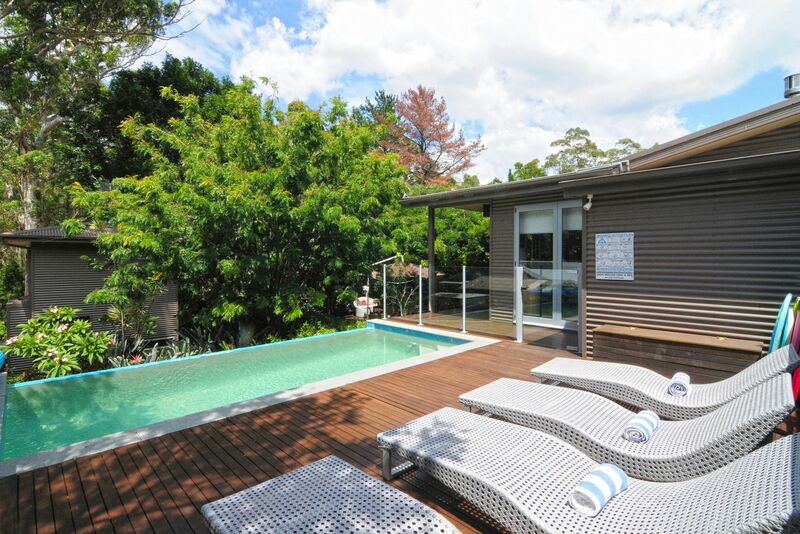 Greenfields Getaway is a modern, spacious home, nestled on the fringes of Jervis Bay National Park, complete with a salt water infinity pool. A self-contained garden studio enjoys a private position at the rear of the block (only included if there are 9 or more guests). 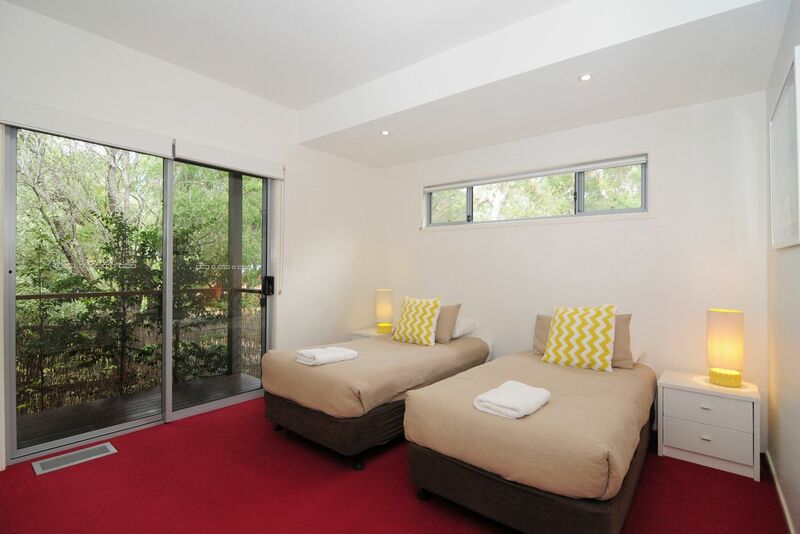 The studio is the perfect retreat for a couple who want to get away from the main house and relax overlooking the bush. The last few images show the studio. It is included in the tariff in there are 9 or more guests. If you have 8 or less guests and would like to include the studio, please contact us to arrange payment ($60 per night). – Pets: One well behaved dog is permitted, though best suited to a med-large dog, as only the back deck is enclosed. Nelson Beach (1km) and Huskisson Beach (5km) are dog friendly. 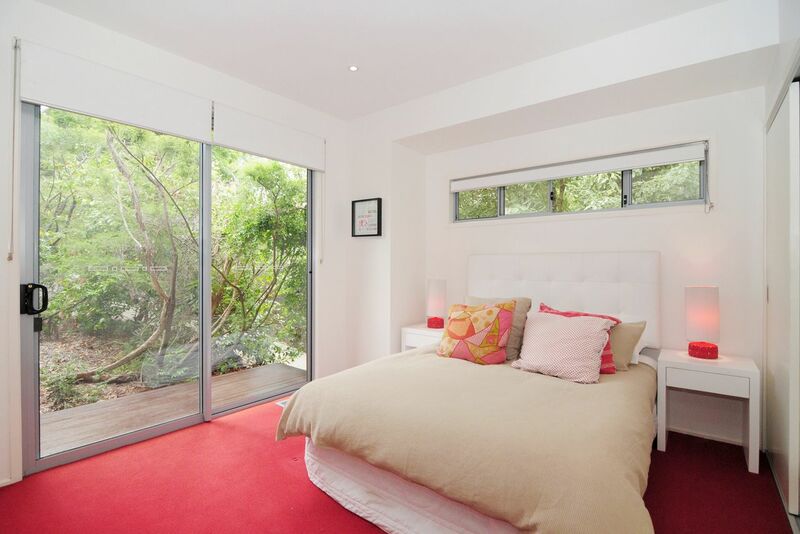 – Bedroom 2: This is actually the living room adjacent to Bedroom 1. 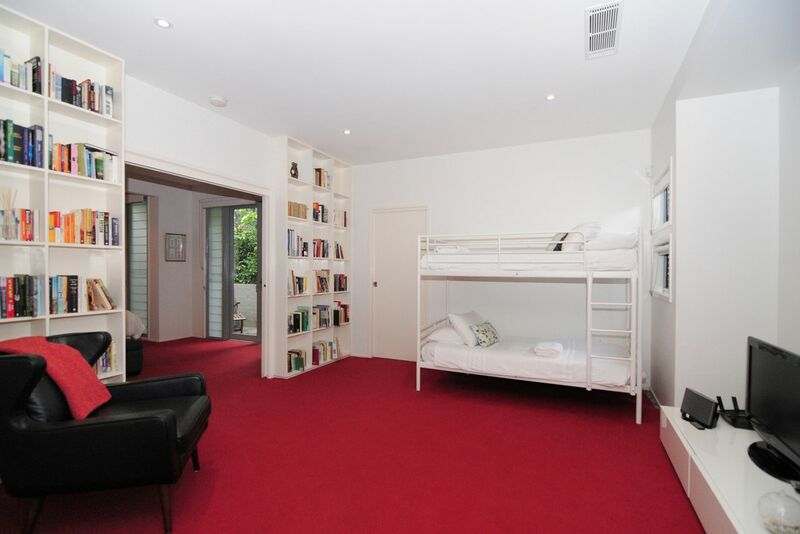 It has single bunk beds (best for two children rather than adults), a TV and plenty of room. We keep coming back to Greenfields Getaway as it is such a magical place to stay. We love it! An amazing weekend away with family and friends. 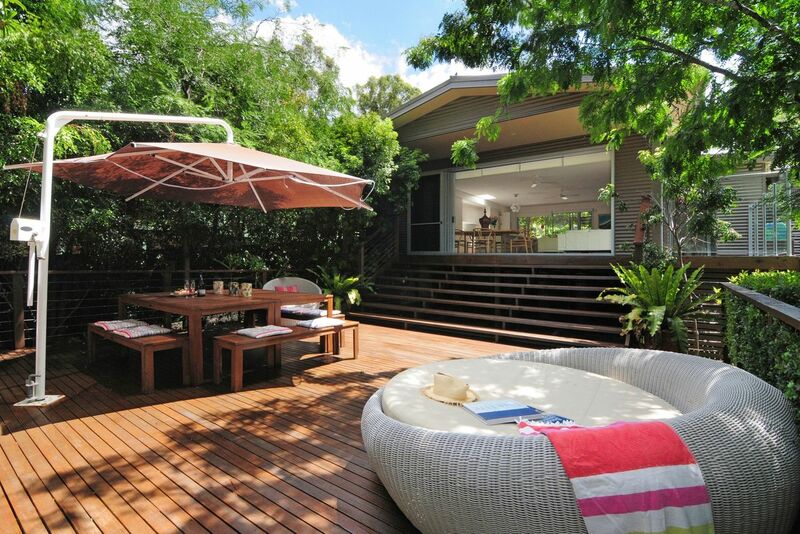 The perfect location for relaxing, chilling out and doing nothing. We will stay again. Amazing place! Would definitely come back, much larger in real life than in the photos. 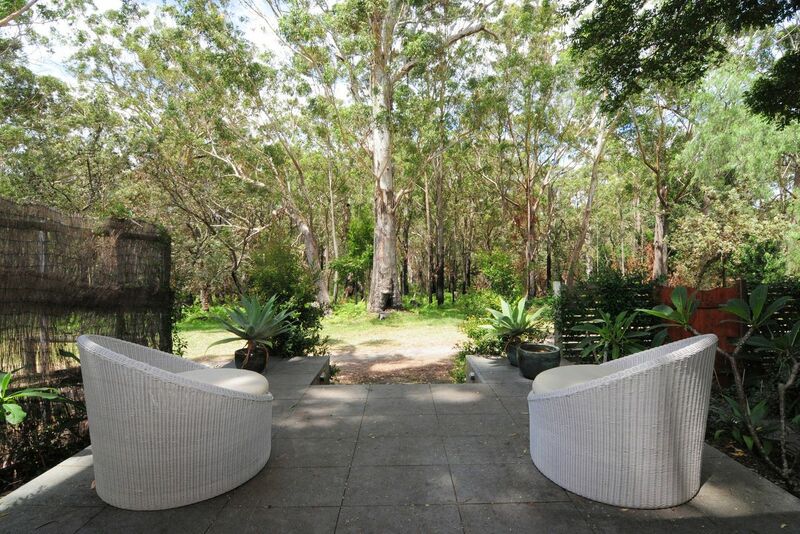 Beautiful home for extended family in what is probably the one of the best locations in Jervis Bay near the most pristine beach, Greenfield Beach. 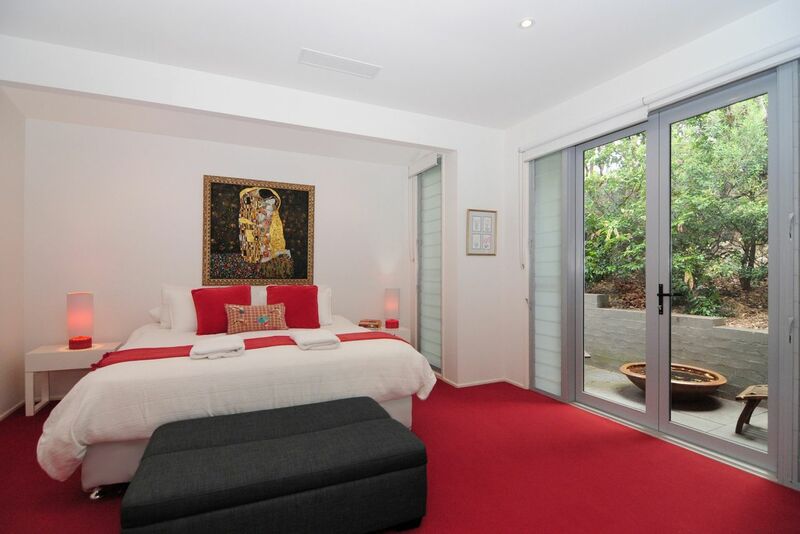 The air conditioned bedrooms make possible a cosy nightu2019s rest. My children loved the pool! Loved our family stay at Greenfields Getaway. The location to the beach was fantastic. The house itself had a great layout for an extended family and the pool was a bonus. The team at Jervis Bay Rentals were fantastic. Very quick responses and went above and beyond to provide additional information on activities for our stay. Would highly recommend. We loved our time at Greenfields Getaway. It's is a truly amazing home in a very special location. It was so quiet and private. The only noise was the sound of birds and waves. We loved cooking in the gourmet kitchen and eating alfresco whilst our children played in the pool. We will be back again. Greenfields Getaway is so well designed. We really enjoyed the relaxing ambience and the beautiful private spaces, both inside and outside. Greenfields Getaway is in the most amazing location, and such a relaxing environment. We had a wonderful time here. We had a wonderful week at Greenfields Getaway. 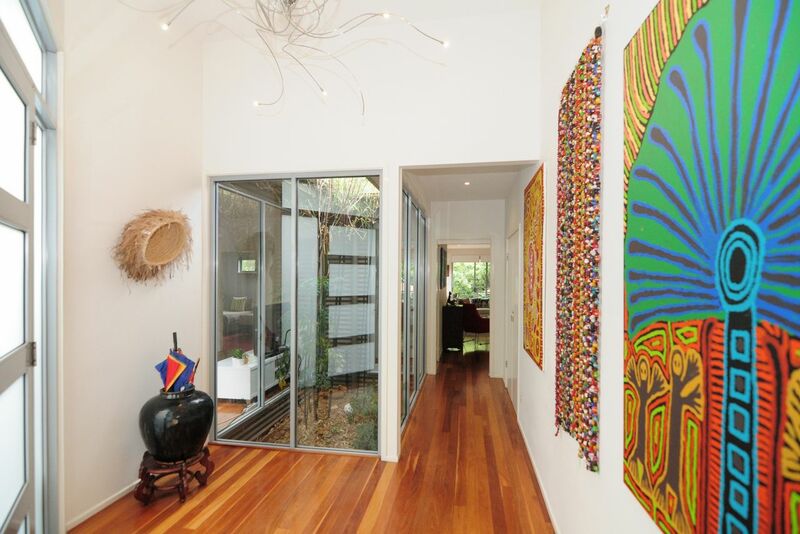 We enjoyed the beautiful artwork, lots of space to relax, the pool and the short walk to gorgeous Greenfields beach. The hundreds of kids books, dvds and pool toys were much enjoyed also. A fabulous house with everything you need for a gathering of friends, beautifully decorated house, multiple spaces for chilling out and perfectly located near stunning beaches! Its become an annual tradition with friends to come back to Greenfields Getaway. 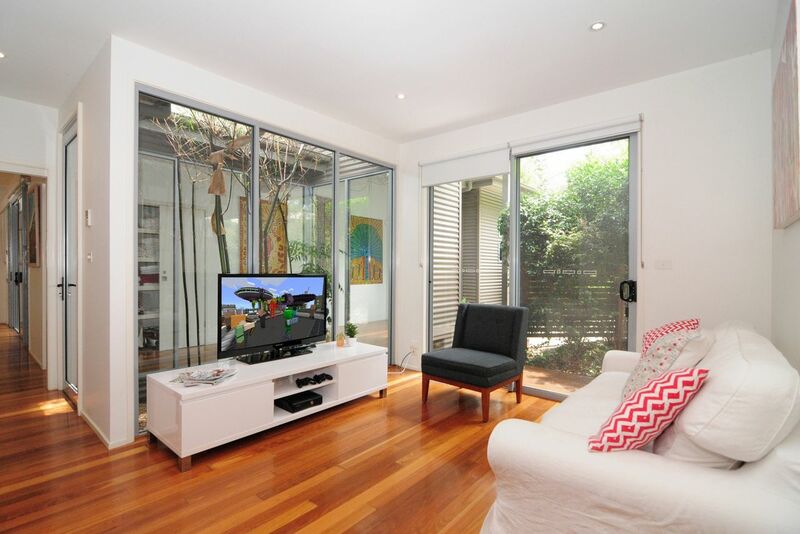 Beautiful spacious family home, perfect for a large group of adults and two dogs. The open fire was a cosy addition in the winter and we where so close to the ocean that we had some lovely morning strolls. All in all a beautiful place and we will be back. The service was fantastic - so warm and friendly. Great stay at Mariner's Retreat. 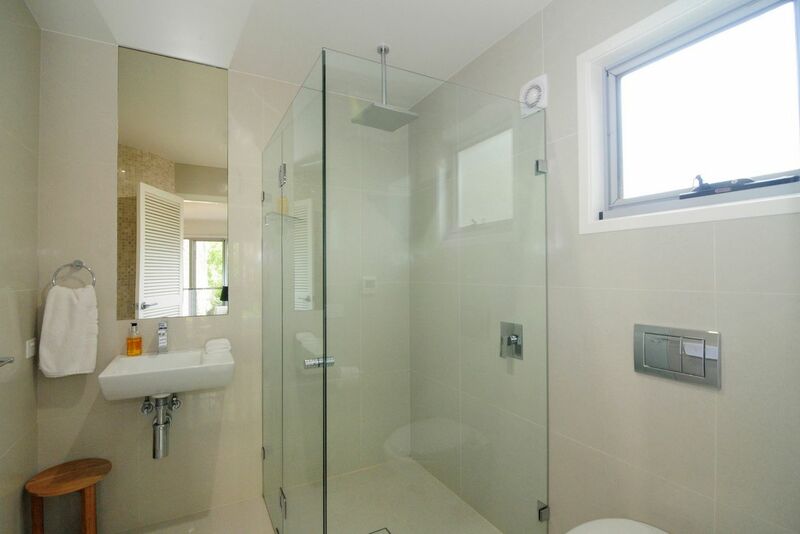 Location is nice and central, close to the beach and the property does not present as a rental. 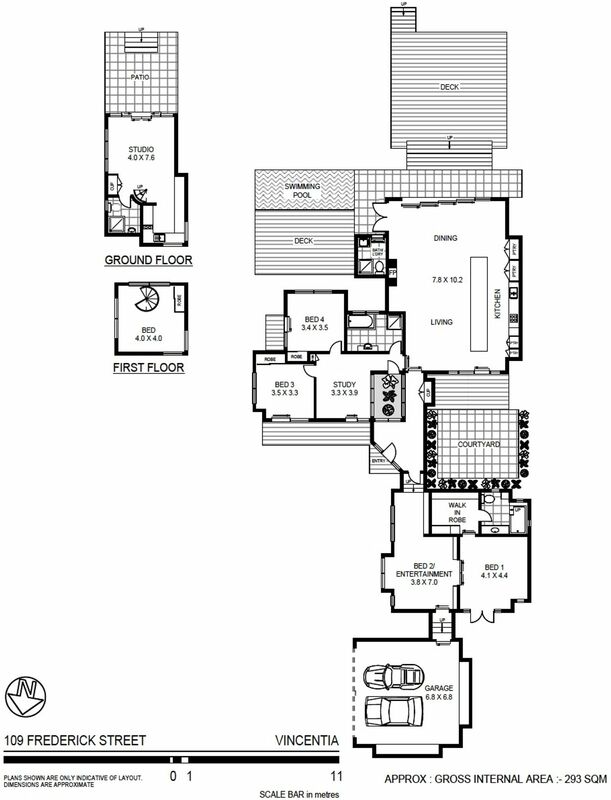 It is homely and worked really well to house a group. 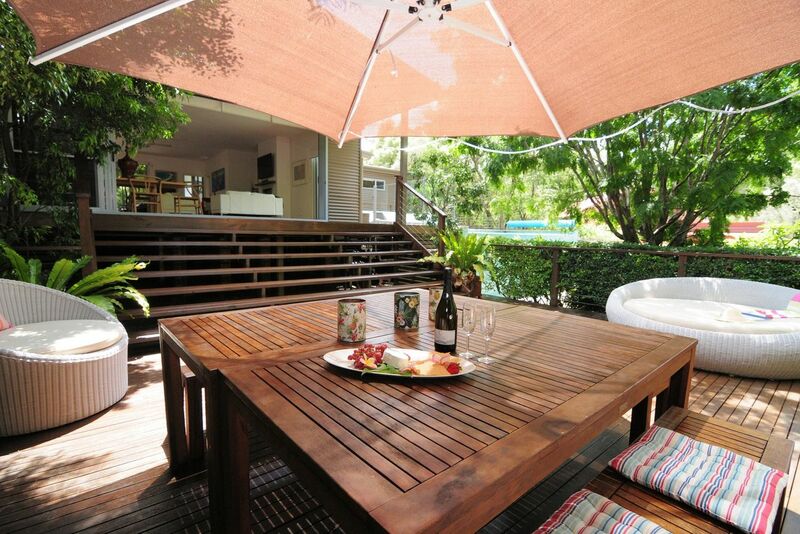 Greenfields Getaway had everything you could want in a property. It was clean, roomy and quiet. And the aspect from every window was just lovely. A real retreat. Thank you. We stayed at Greenfields Getaway in June for a family weekend away. 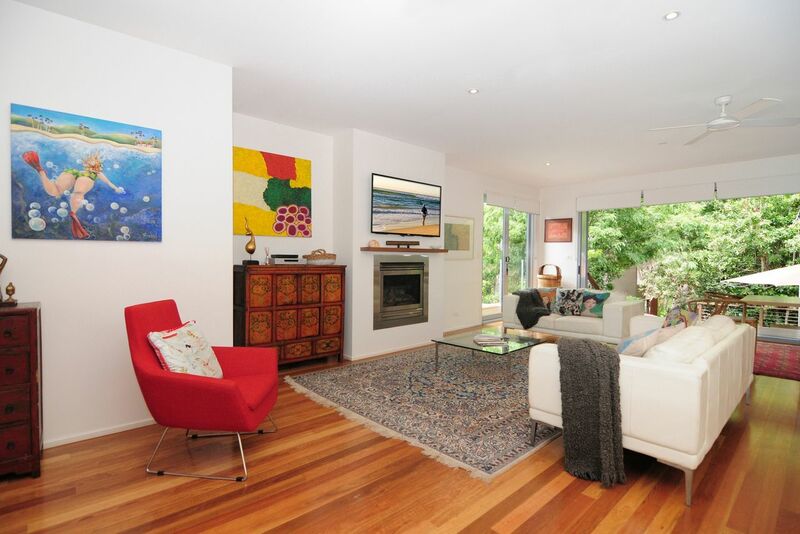 We thoroughly enjoyed the property, it was very spacious and everything was thought of. Could not fault Jervis Bay Rentals they were very helpful. The house was great and perfect for our family. 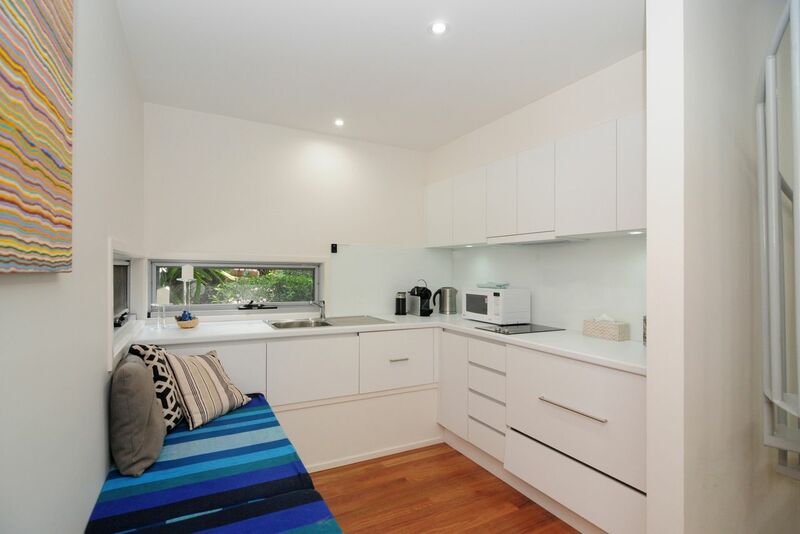 Great location walking distance to everything we needed. 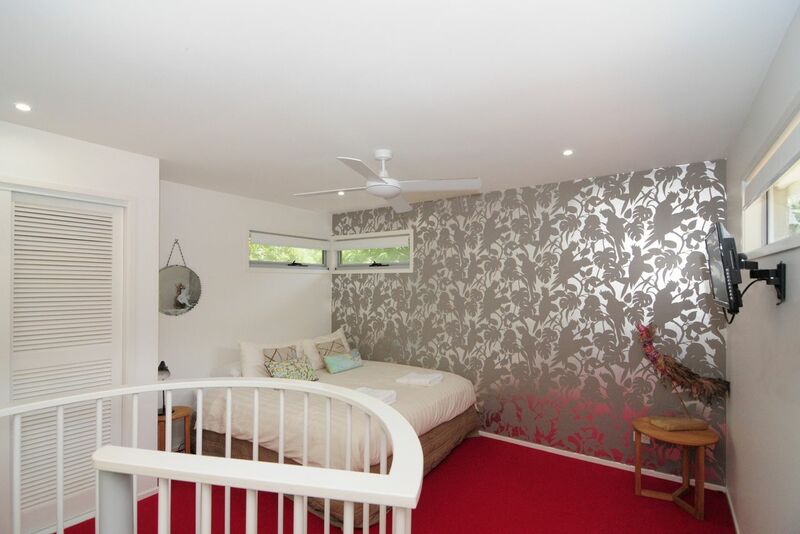 This is a perfect house for an extended family with lots of areas to find quiet when needed. A gorgeous lounge, dining, kitchen area which was a fabulous area to be together. A very special place amongst the trees and so very near the beach too....couldn't ask for more! I thought the service was great. The people we dealt with both before we arrived and during our stay were really kind and very responsive to our needs - couldn't ask for more! 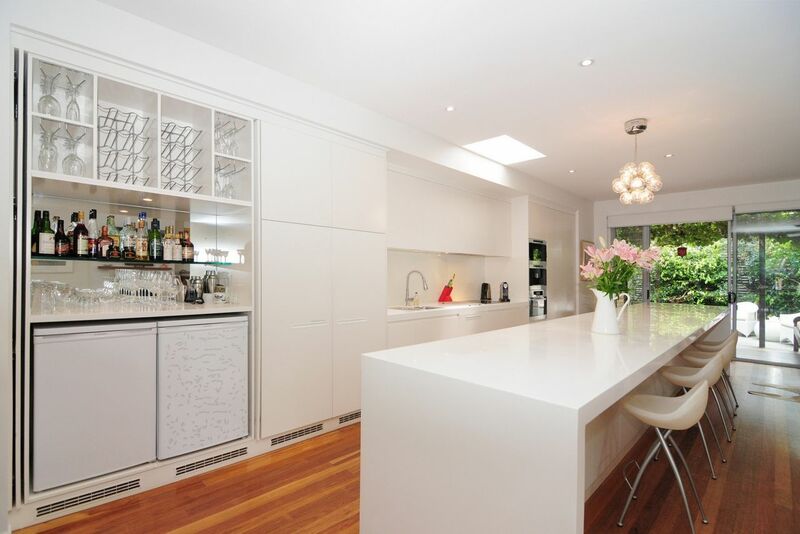 Fabulous house, location, beautiful and well-stocked kitchen and well appointed rooms. I felt so relaxed and comfortable and wished I could stay in the house for a longer period of time. Especially loved the Molton Brown amenities, totally unexpected. A beautiful house for 2 families to share. 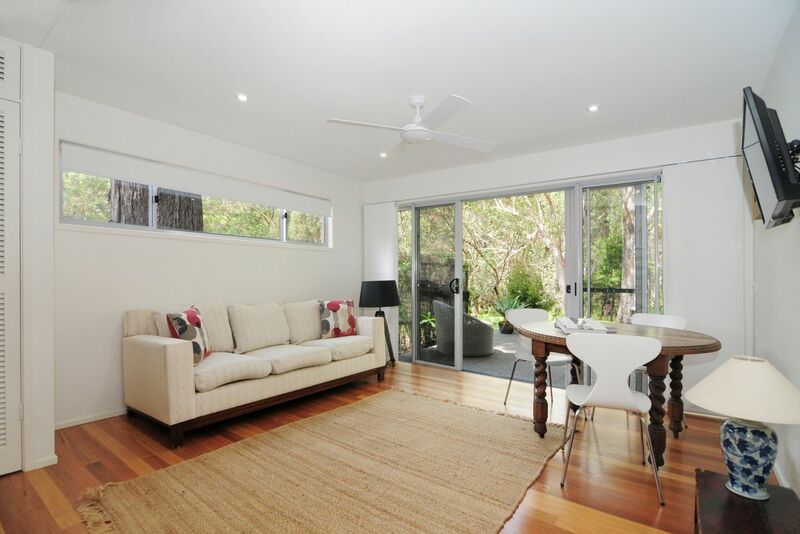 We love the layout, furnishings, bush setting and ease of access to the beautiful beaches and national parklands of Jervis Bay. This was our second stay at Greenfields Getaway and we will definitely be back! I could not have been more happy with the location and presentation of this beautiful property. From the beautifully presented beadrooms with natural light to the stunning kitchen and amazing pool everything was just stunning. In the short time that I spent at this property I was relaxed and comfortable! I cant wait to book this property again and I would recomend it to everyone! Greenfields Getaway was a fabulous home for an extended family holiday, especially with littlies. The house is beautiful, spacious and in the most peaceful of places. I'd stay again and recommend to friends. Can't speak highly enough of the staff at Jervis Bay rentals. They were absolutlely wonderful. Beautiful facilities in a stunning setting. A wonderful family vacation to cherish and remember. The property is enormous - ideal for two families with plenty of space to spare. 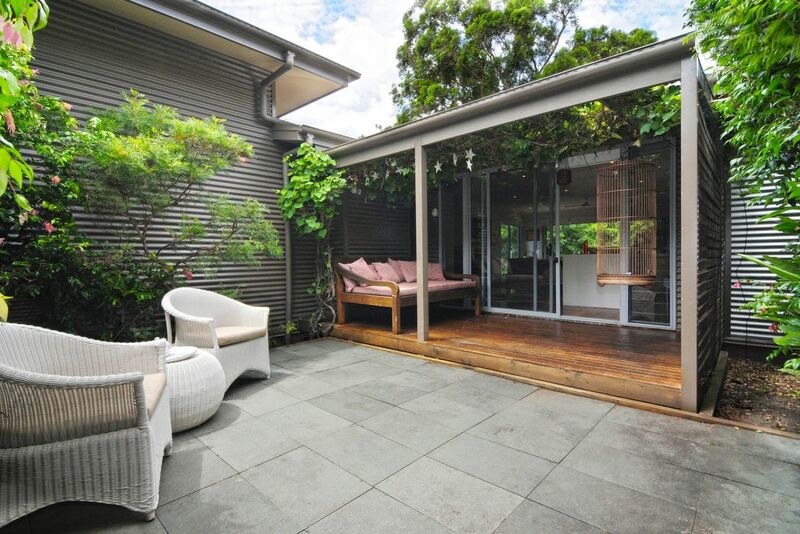 It is beautifully laid out with a great living area, deck and outdoor pool. The best thing is that you can walk to Greenfields Beach which we think is the most beautiful beach in all of Jervis Bay. We will definately stay here again. Beautiful house and studio, great location, very quiet and restful. Can't wait for our next visit. The house we stayed in was beautiful - better in reality than on the pictures! Great location, amazing house, well-catered and excellent value! 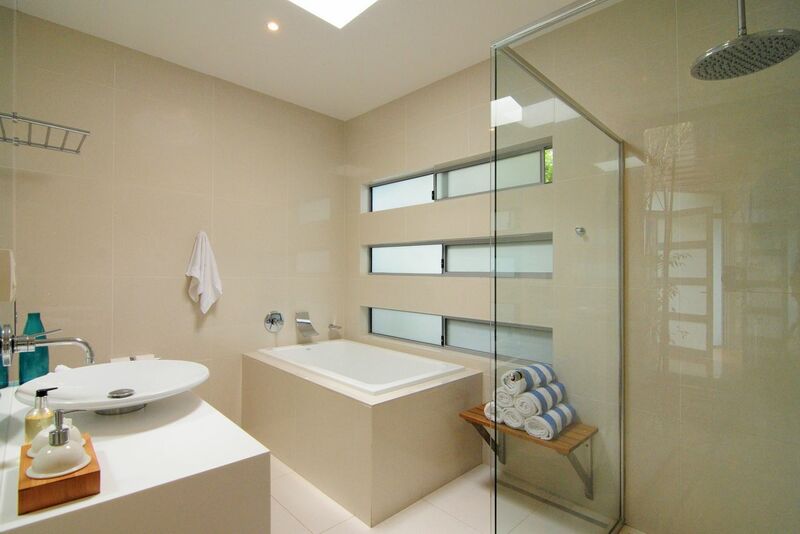 This was a fabulous property, which was clean, modern and exceptionally well appointed. Everything we needed was there and then some. Very close to the beach and shops. Its so refreshing to find a nice property that's reasonably priced. The folks at Jervis Bay Rentals were fantastic to deal with, nothing was a problem, even the fireplace had paper and kindling in ready to go, we only had to strike the match. We had a great weekend and would definitely go back. The house is beautiful, excellent location and well equipped. We had a group of nine people staying which was fine. Fantastic location and amazingly contemporary house. Our family had an absolute blast staying here with all the amenities that anybody could ask for in a location so close to the beach! Would highly recommend and would love to return! This house has that 'uber' feel. From the moment you step inside you know that you are in good holiday hands. We loved the plunge pool with bush outlook, the lovely deck, the gourmet Miele kitchen, the deep Japanese bath and heated floor tiles. Far enough away that you don't feel like you are in suburbia but close to all the things you need - in particular Wild Ginger in Hussky which every one needs to eat at. 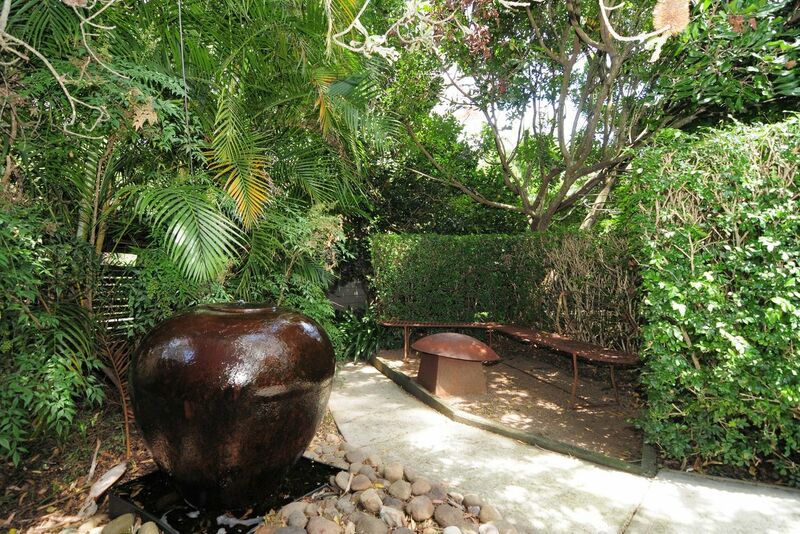 Excellent house within a short walk to several beaches and walking trails. Very comfortable and well appointed. 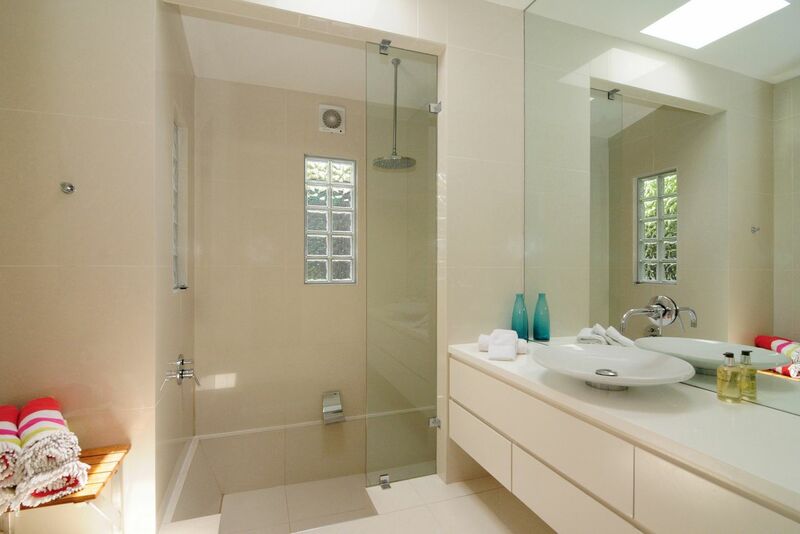 An incredible house, fully equipped and in the perfect location, quiet but easy access to the most beautiful beaches. 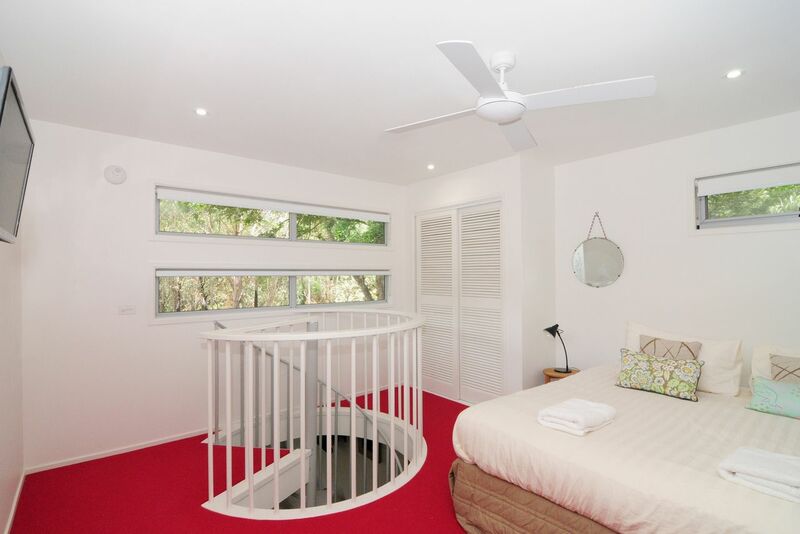 Jervis Bay Rentals provided an efficient and very helpful service in the booking. The house really was fantastic and we thoroughly enjoyed our stay!! Great location and the booking process was easy and hassle free. Would definately stay again. Service was great! I really could not fault it!! We enjoyed our stay at Greenfields Getaway it was very relaxing and a nice spacious layout. Thanks.